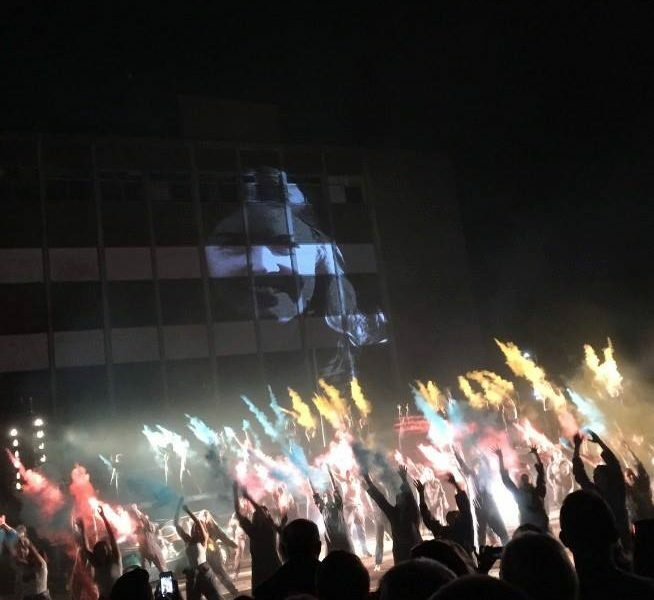 A wonderful blog post from Annie Holmes, one of the amazing community cast for RUSH at Freedom Festival in Hull. I can’t believe that I actually performed in Southpaw Dance Company’s production of RUSH in Hull! If you had told me a year ago that I would be in a live, mass movement production I would have laughed. I don’t do dance, drama or anything that requires me to perform to an audience or that pushes me out of my comfort zone. What made this such an amazing experience was that the community cast was made up of people from all walks of life , all ages, all genders and all abilities, coming together to participate in a shared visual performance through dance, music, speech and film. We had five weeks of rehearsals in which we made friendships that may last a lifetime. Learning the routines was challenging but exhilarating. Everyone pulled together to support and encourage. It was a lovely warm atmosphere, where you felt valued and failure wasn’t on the agenda. You did what you could do! For me it was a journey of self-expression and freedom. The chance of a lifetime to do something beyond the norm. Something challenging and thought-provoking. I was astounded by the effect of stillness and silence and invigorated by the emotional response I had to the music and dance. The power of a shared experience can be truly mind-blowing! I wouldn’t have missed it for the world. It had an amazing impact on all of us. For me it has opened a door I never knew existed, so who knows where my journey will end?